©2015 Stephanie Abbott. All rights reserved. Wednesday, June 17, 2015. 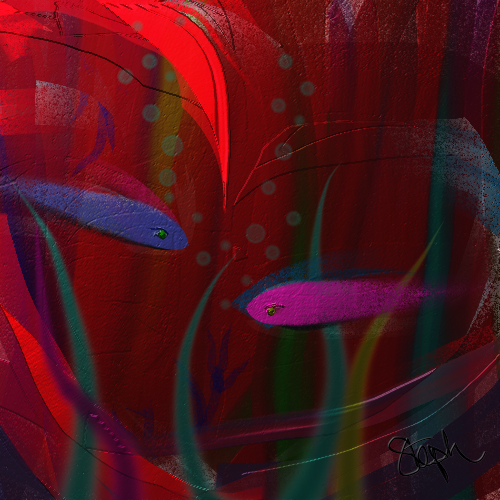 I created the image “Blue Fish Heart Patch” and wrote the haiku “Fishy Love: A Hearty Tale for Two” to celebrate dual anniversaries for my own mended heart—my open heart surgery and my marriage. I created the image with ArtRage 4. Nice to have you back blogging Steph.